Comes with a DC-adapter for charging the battery from a car's cigarette lighter. Performance might be negatively affected by low temperature. 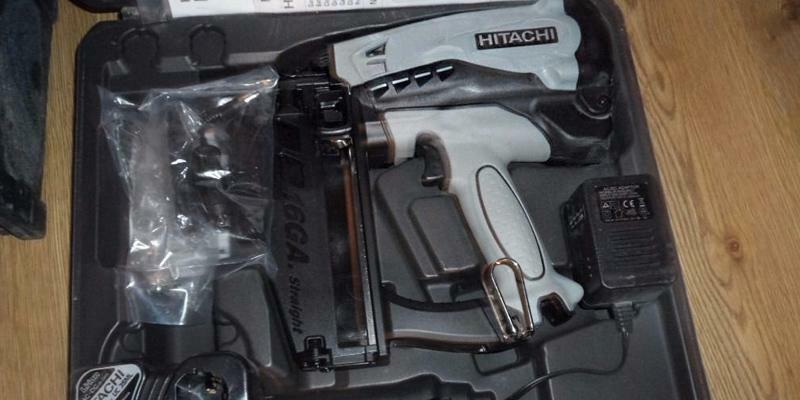 This gas-operated Hitachi cordless finish nailer is a top of the range choice for the professionals, employed at various carpentry jobs that require a steady, jam-free tool for punching nails through different materials. An adjustable tool hook for an easy-to-access storing. A magazine lid is a bit stiff. 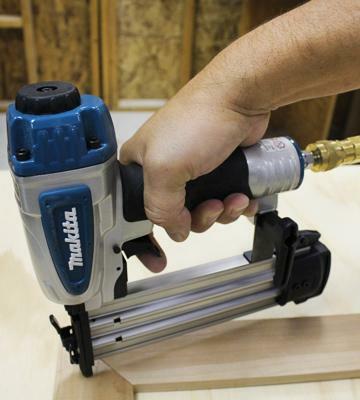 All in all, the Makita brad nailer is an easy-to-use pneumatic tool for driving nails into boards, planks, window sashes, door casing, wooden trims, and similar objects without a hitch in your house, toolshed or carpentry workshop. Ideal for long working sessions owing to the compact and lightweight design. Lightweight plastic can be prone to cracking. 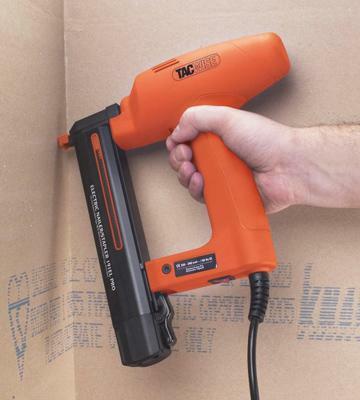 This Tacwise pneumatic nail gun is one of the lightest models even among the brads. Great for crown mouldings, window trims, small furniture assembling, and even shoe trimmings. The angled magazine is great for reaching the surface in tight places. 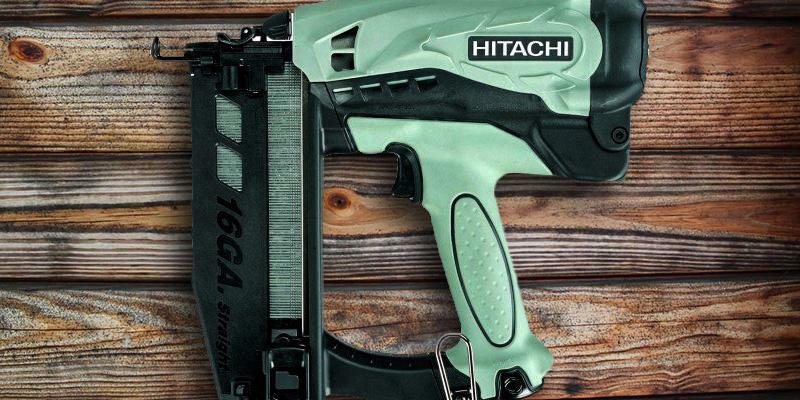 The Hitachi NR90GC2 is an ultimate framing nailer for large construction sites or carpentry jobs as it can hold up to 90 mm nails and even capable of driving them through a thin metal sheet. 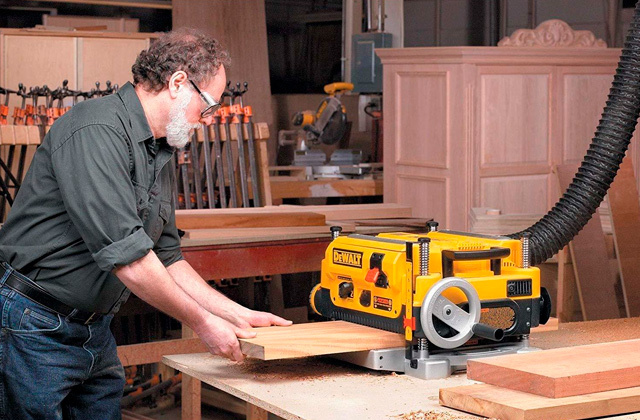 An all-around reliable tool for varying carpentry jobs. The device can take both nails and staples. No rubber pads on the handle. 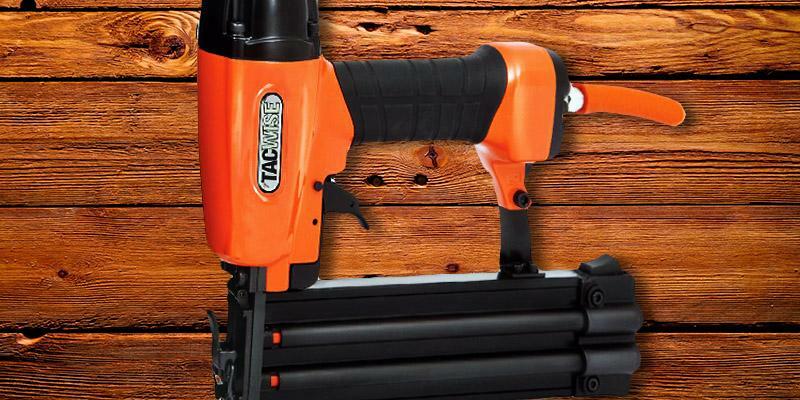 The Tacwise 191ELS is an amazing, hassle-free choice if you require a compact, multi-purpose staple/nail gun for all kinds of tasks. All it needs is a power outlet and the fittings to work - no batteries, no fuel cells, no air compressors. 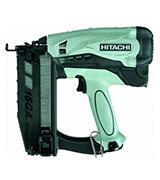 The Hitachi NT65GS gas finish nailer is a great option if you need to work with 16 gauge nails. 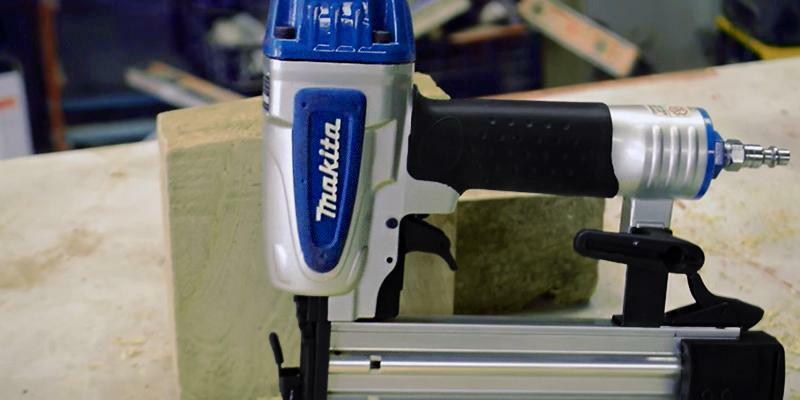 This model has just the same reliable performance as electric and pneumatic finish nailers, yet, its mobility is the main factor why we've chosen this model. It requires both a battery and a gas fuel tank to operate. Still, 1 battery charge is enough to process up to 2000, and 1 fuel cell - 1200 nails, which is usually more than enough even for professional tasks. Therefore, you are not chained down to one place with this one and free to use it for both interior and exterior jobs. The set includes a charge station with AC and DC adapters so that you could recharge the battery not just from a power outlet, but even inside your car while driving to your work location. Another convenient feature is a small LED indicator on the magazine that shows the battery charge status. An additional nozzle cap can prevent any damage to the fragile workpiece, that is exceptionally useful for when you are working with finishing details like facade materials, decoration pieces, wooden or plastic beads, and so on. The soft grip handle fits nicely in a hand, while its body is pretty well-balanced for comfortable operation all day long. Speaking about capacity, the magazine can hold up to 100 nails at a time and is very easy to reload thanks to the quick push lever. 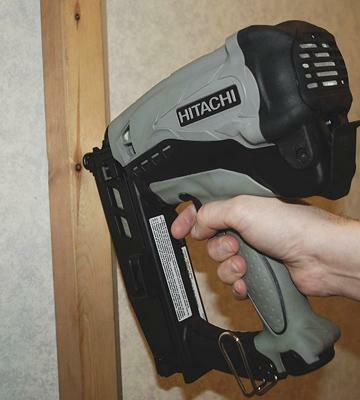 Overall, this Hitachi finish nailer is a professional choice for any furniture or workboard assemblers, construction workers and simply anyone who needs a steady, heavy-duty tool for finishing works. Among the variety of small and large power tools, Makita products always appear in the higher positions of their categories. This Makita AF505 brad nailer is no exception as well. It's a pneumatic model and, therefore, requires an air compressor with 56-113 psi output to operate. The tool comes packed inside a moulded plastic carrying case that also includes protection eyeglasses, a small oil container for lubricating the air plug, and a nozzle protector. The device produces quite a bit of noise, so expect to have to wear some protective earmuffs if you're going to work with it for a prolonged time each session. The exhaust port in the upper rear side of the body can be firmly rotated to discharge the exhaust air away from the user allowing a multi-angular positioning while working in a confined space. Another safety feature is that the trigger can be activated only after the nose tip is pressed against the working surface, protecting the material and device from misfirings. We also liked the fact that you don't have to adjust the pressure or depth setting after switching from shorter to longer brads. Speaking of nails, the magazine can take the 18 gauge brads between 15 and 50 mm in size. What's more, the nose part can be easily flipped open to clear the jams. Currently, Makita offers a 2-year extended warranty after registering online the products, bought in the UK, which is a welcomed bonus as well. 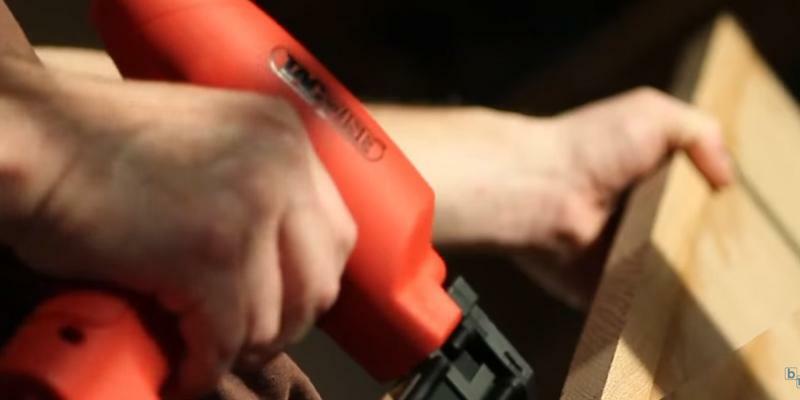 The Tacwise brad nailer can be safely attributed to semi-professional power tools as it's able to quickly and accurately deal with a big amount of work. Note, the DGN50V model requires an air compressor with 60 to 100 psi in order to operate. Therefore, we can recommend it for being employed on both small and large construction sets or carpentry shops. 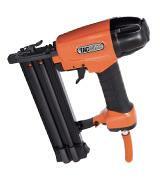 With an empty magazine, the nailer weighs only 1.2 kg and easy to handle, owing to the rubberized grip. The straight magazine can hold up to 100 pieces of 20 to 50 mm 18G Tacwise brads that are usually available in most of the hardware stores all around the country. 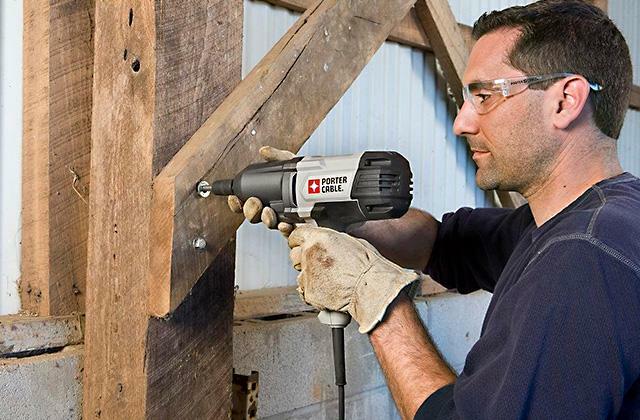 Performance-wise, the nailer is okay to use with most of the hardwood boards, planks, plywood, and other finishing materials that require an accurately driven nail at a direct angle to be firmly held in place. In the case of jamming, it has an Open Nose Gate feature. Basically, the upper nose plate can be flipped open for taking out the nail without pliers. Summing up, it's an optimal pneumatic nail gun with a great price that we readily recommend to anyone who already owns or going to buy an air compressor for their carpentry workshop. 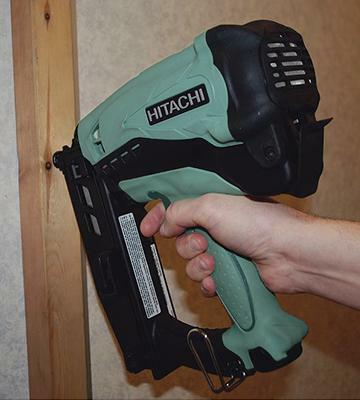 The Hitachi NR90GC2 features a magazine, placed at up to 45° to the working surface, that comes handy for driving nails in tight spots and at awkward angles, for instance, in window frames, roof sheathings, wooden sidings, trims, and other similar elements. The tool comes with a couple of Ni-Cd batteries and a gas tank that is enough for around 1200 shots. We want to mention that this model is also fully compatible with a Paslode fuel cells that can be bought almost anywhere. The best part, though, is that it can take up to 90 mm nails for some really thick planks and fences. Therefore, it's an optimal framing nailer for its price that can be effectively employed for small and large home renovation projects and on large construction sites alike, where your moves won't be restricted by the length of electric cord or air hose, unlike with pneumatic or corded models. Furthermore, it's driving power is enough to send a nail even through a thin metal sheet, which is pretty impressive. In addition to batteries and fuel cell, the complete list of equipment includes the nailer itself, a moulded carrying case, a charging device, safety glasses, a hex wrench, and a small bottle of greasing oil - everything you might need to start to work right away. Just don't forget to buy some nails. ПереводThe Tacwise 191ELS is ideal for small carpentry jobs like furniture assembling in places where you have a direct access to a power outlet or at least through an extension lead. It's compact, lightweight, and above all can work with both nails and staples. The tool is pretty straightforward: just load it up, plug it in - and it's ready to work. As for convenience, the nail gun weighs only 1.6 kg, so it's relatively easy to staple the plywood while holding the device above your head or in similar situations. It also features a common safety solution where the nose tip has to be pressed in order to activate the trigger. 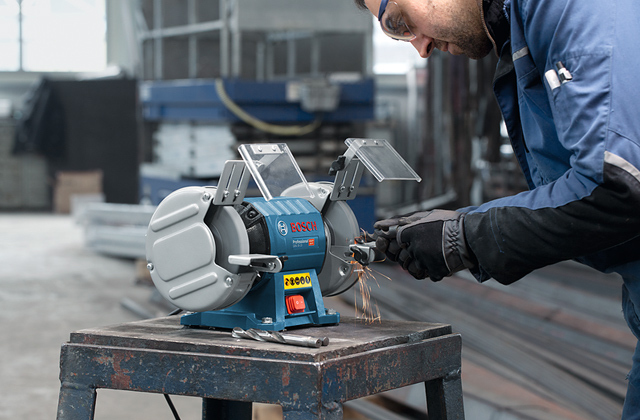 Performance-wise, the device can be used to drive in many nails or staples in quick succession just one after another, making your job fast and easy. We've chosen this product partially because it also comes with 2 boxes of 4000 nails and 2800 staples of different sizes. 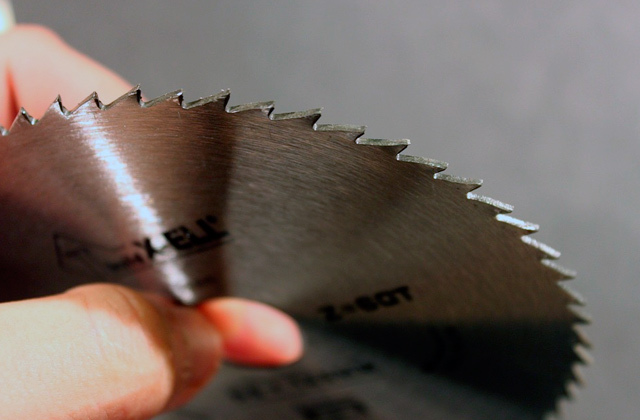 Note, that it's designed to take 15 to 35 mm 18 gauge nails or 15 to 30 mm 99 Tacwise staples. Concluding, the Tacwise 191ELS is an amazing 2-in-1 nail/staple gun that will help you in all sorts of finishing works that require up to 35 mm nails or 30 mm staples, driving them smoothly and quickly into different wood materials. 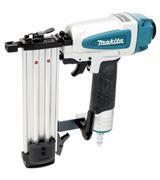 A nailer is an indispensable tool for assembly and construction jobs. This appliance is used for driving nails into different materials. It is easy-to-use and extremely fast in operation. Surely, it could drive out a conventional hammer from everyday use, fulfilling the same tasks much more effectively. The nailers are extensively used for many various jobs in different spheres. These jobs include repairs and construction, framing and sheathing, assembly of furniture and wooden constructions, tiling and siding, and many other tasks. 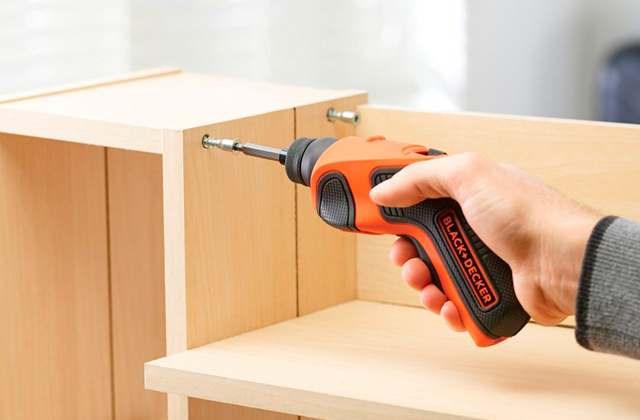 We can also recommend buying one of the best electric screwdrivers along with a nailer. 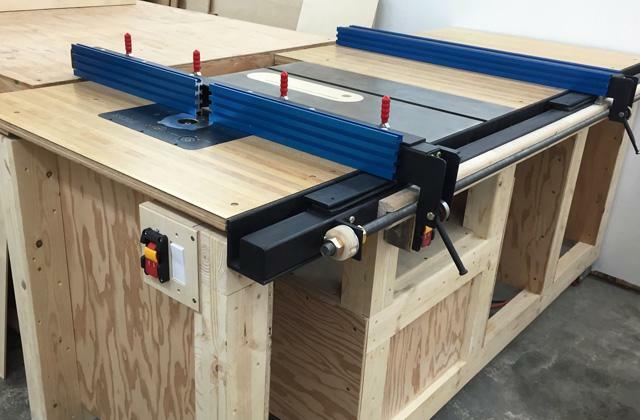 If you are into carpentry, you might be interested in our picks of mitre saws or reciprocating saws as well. 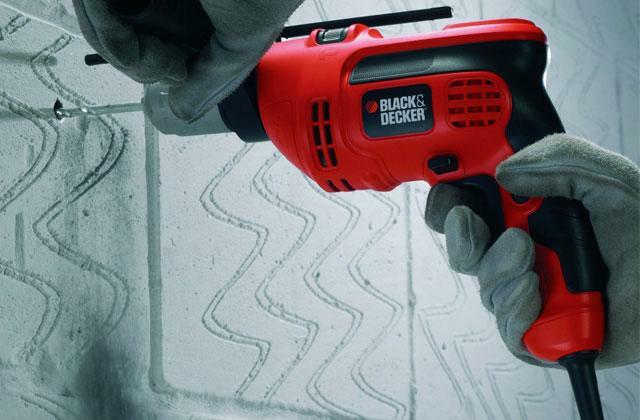 There are several types of nailers differing in design. You should understand the difference before choosing a particular device. Framing nailers are designed for large-scale jobs, such as the construction of houses or individual rooms, terraces or other outhouses. Finishing nailers are commonly used in the production of furniture, assembly of wardrobes and bookcases, installation of doors and windows. 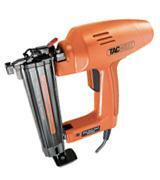 Brad nailers are usually light-weight and applied for finishing works, coating or furniture repairs. Roofing nailers are designed to work with tiling. 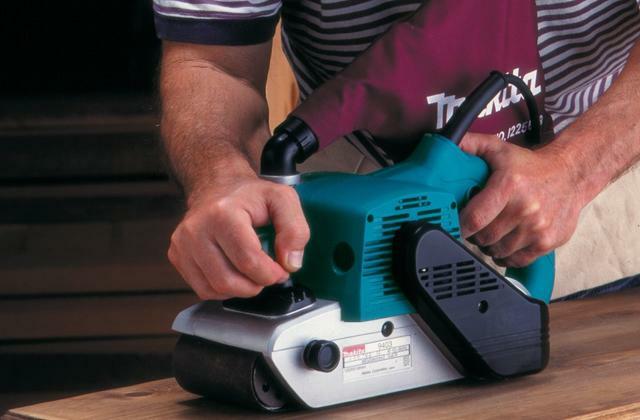 Flooring nailers will perfectly satisfy demands of people working with hardwood. 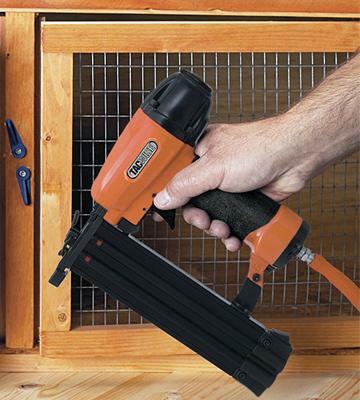 Pin nailers are small-size tools for placement of nails in tight spaces. They use pins which are very tiny and have no heads, so they are almost invisible after placement. Pneumatic nailguns are most common among the users. These tools require compressed air for operation. Usually, manufacturers specify requirements to the compressor, the volume of the tank and air consumption for one shot. Air-powered nailguns do not require high pressure for operation. Combustion powered nailgun use gas cartridges (usually, they are fueled by propane). A gas cartridge can be shipped with a tool or it might have to be purchased separately. Such nailers fire a nail using air and gas mixture. 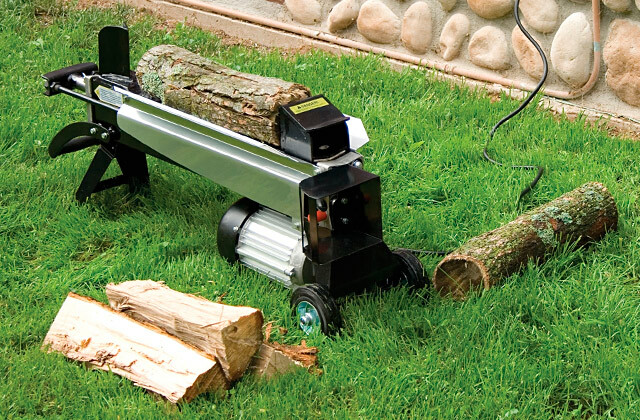 The gas-powered devices allow working with wood, metal or bricks. Electric nailguns are usually used for finishing works. They are lightweight and have a compact size. Their operation requires no combustion. 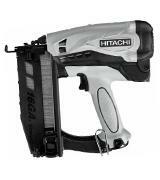 Electric nailers can be powered by rechargeable batteries or from the mains. When choosing a nailer, you should take into account technical specifications of different models so as to foresee overall capacity and performance. For example, the size of the magazine for nails matters a lot. The more nails can be loaded into the magazine, the less frequently you will have to reload it. Consequently, you will save time for work. 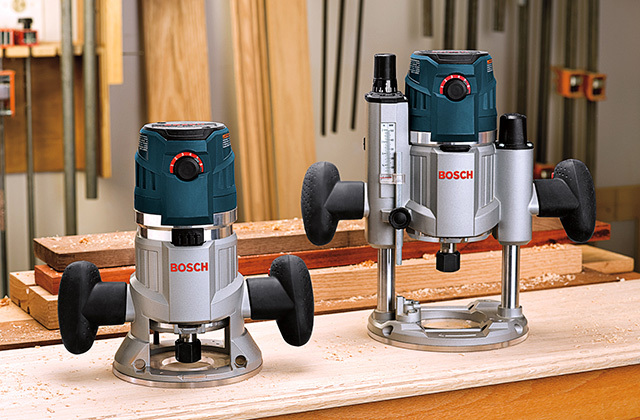 Some tools feature the adjustable depth of nail driving. 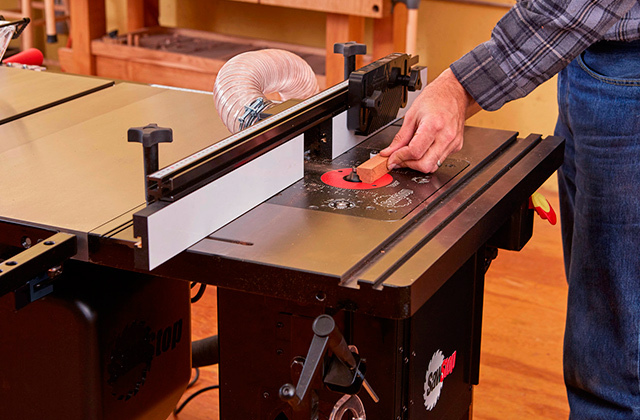 This feature is particularly important when choosing finishing or brad nailers. It is also advisable to assess which nail sizes you're going to need for your particular jobs. Nails are different, and hence, can be used on certain nailers only. You should also consider how convenient it is going to be to use a nailer. Some of them come with colour indicators to show the current mode and battery charge. Some include belt clips and hanging hooks. They can also be made of different material. So, it's better that you decide on its setting and go choose with that in mind. Safety goes beyond question too. A nailer isn't the safest equipment too, so it's important that it's got some safety features to ensure enhanced convenience and security during use. Among the most widespread there are safety lock-off switches and trigger locks. 1. Mark Hunter Which Nailer is Right For You, TOOLSTOP. August 5, 2013. 2. 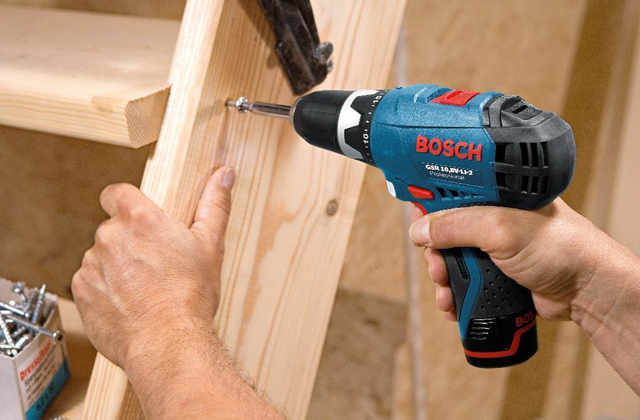 Choosing The Right Finish Nailer, DoItYourself. 3. Nailer / Nail Gun Buying Guide, Lowe's. 4. Justin Fink Choosing Trim Nailers: Which Gauge Finish Nailers Should You Own? The Fine Homebuilding. November 1, 2012. 5. Jess Buskirk How to Choose a Framing Nailer, Overstock.